This British favorite was inspired by an American pie sold in Blum’s coffee shops, a chain in San Francisco, Ca. Sadly Blum’s and their coffee toffee pie is gone, but Banoffee pie has its followers on both sides of the pond. 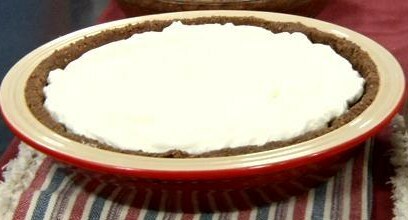 Fresh banana slices, toffee filling, whipped cream with or without a hint of coffee, plus a little chocolate to set it all off makes up this easy no bake pie. Stirring together butter, brown sugar, and condensed milk. Warm toffee in the crust. Arranging fresh bananas on the cooled toffee. 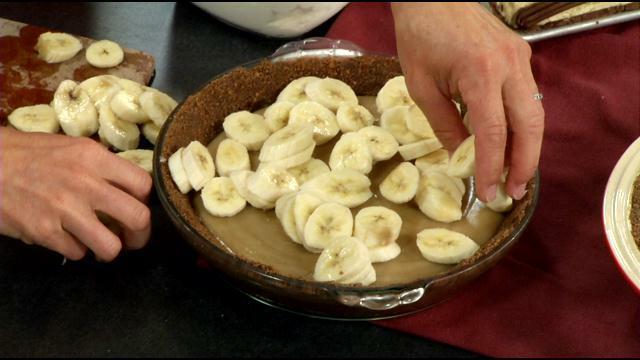 Preparation: Prepare crust by combining graham cracker crumbs, melted butter, and cocoa powder in a medium bowl. Press into a 9” pie pan. Refrigerate until firm. While crust is chilling, prepare toffee filling by placing butter and brown sugar in a medium saucepan over medium high heat. Stir butter and brown sugar together (butter will not fully incorporate). Add sweetened condensed milk and stir together. 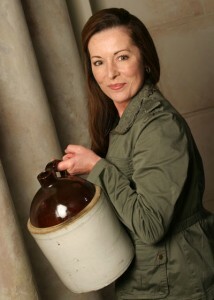 Continue to cook and stir until butter is incorporated into mixture. 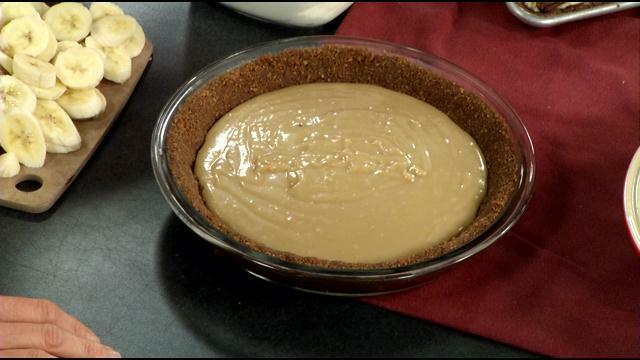 Once mixture is smooth, pour into prepared pie crust. Refrigerate until toffee is set, about 1 hour. When ready to serve, evenly scatter banana slices over toffee. 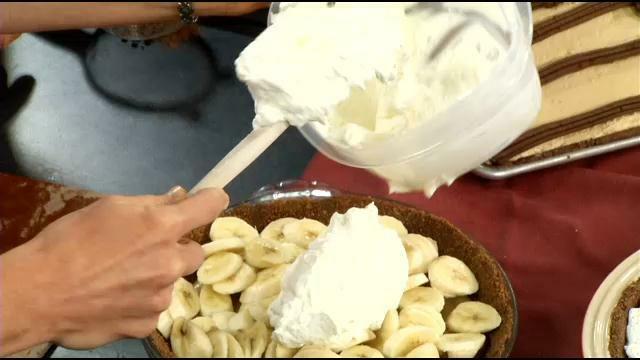 Cover bananas with a generous topping of whipped cream. Garnish with a dusting of cocoa powder or instant coffee crystals. Refrigerate leftovers. NOTE: For a double crust pie pan, double crust and filling ingredients. You do not have to double bananas or whipped topping.